River City Writers meets Tuesday, May 10 at 7PM at the SE Regional Library, Gate Parkway and Deerwood Park Blvd. Dr. Lorraine Haataia will address the topic of setting goals. Lorraine, the founder and former president of First Coast Christian Writers, has helped countlessstudents as a Professor of English. She'll talk about the importance of writing everyday, and share her strategies for setting goals. For more information, click on the group's blog or contact group leader, Gregg Golson at gtgolson@comcast.net. 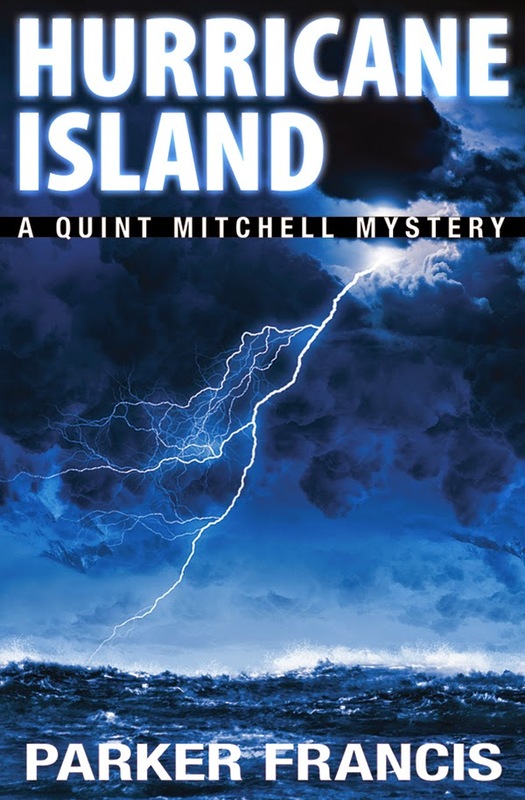 Amelia Island Writers meets at Books Plus in Fernandina Beach on Tuesday, May 17 ay 6PM. This month's speaker is Gerry Clare, author of Don't Forget the Toilet Paper. Contact group leader Maggie deVries for more information, maggie1948@yahoo,com. Clay County Writers meet on the 3rd Wednesday of each month at the Fleming Island Library. This month's meeting, May 18 at 6:15PM, features a workshop on how to get books started with "Great Beginnings." Regional Director Vic DiGenti provides tips and exercises designed to find just the right opening to keep the reader turning pages. Group leader Maureen Jung also reports that there will be a brief discussion about log lines and why they're needed. Clay County Writers also sponsors a fiction critique groupthat meets twice a month at Panera's on 220. For more information, write Maureen at mjung@wordspringconsulting.com. There will be a gathering of the Ancient City Writers on Saturday, May 21 at St.Augustine's Main Library at 10:15AM. Writing instructor John Boles discusses "Voice, POV & Style." Ponte Vedra Writers returns to its customary 4th Saturday meeting time on May 28 at 10:30AM at the Ponte Vedra Library. Sharon Y. Cobb, director of the UNF Writers Conference, reprises her standing-room-only workshop from last year's conference entitled "Characters On the Couch." Sharon shares a number of unique exercises designed to view your characters through a totally new prism to deepen and broaden them. When you place them on a couch and psychoanalyze them, amazing things can happen. More than likely, we can expect Sharon to also give us news of the August 5 -7 writers conference. First Coast Christian Writers (an affiliate of FWA) meets each Thursday at 6:45PM at the Webb-Wesconnett Library at 103rd Street and Blanding Blvd. Contact chapter president Tracy Redman, tlsl72@yahoo.com, for more details. Florida Sisters in Crime chapter meets Saturday, May 7 at 10:30AM at the SE Regional Library to hear from local author Ken Gorman about his new novel of political intrigue, Compelled. And check out the guidelines to their contest while you're on the website. The Jacksonville chapter of SCBWI meets on the 3rd Saturday of the month from 1PM to 3PM at the SE Regional Branch Library (isn't that an amazingly busy library?). They will have a Meet & Critique session on May 21st. Bring no more than 10 pages. The Florida Heritage Book Festival toasts legendary author Ernest Hemingway at a gala celebration on Saturday, May 21 at 5PM on the grounds of the Markland House, 102 King Street, St. Augustine. "A Hemingway Night" will feature complimentary mojito tasting and voting for the best cocktail, as well as a Hemingway look-alike contest. Looking for Papa will highlight the evening with the grand prize a fishing adventure for four from Comachee Cove Yacht Harbor. For tickets and information, contact Kathy Dvornick at 904-940-0194. Scribbler's Retreat Writers Conference features New York Times bestselling thriller author Phillip Margolin as the featured keynote author. The conference combines the beauty of St. Simon's Island, GA King and Prince Beach & Golf Resort with craft workshops by authors June Hal McCash, Writing Historical Fiction, Vic DiGenti, How to Rev Up Your Narrative Drive, Dr. Anya Silver, Writing Poetry: The Enchanted Craft, Denise Tompkins, Effective Query Letter Writing, and more. You may still submit your work for the Royal Palm Literary Awards competition, but the fee has increased to $40 per entry as of May 1. Hurry and enter before it goes up again to $50 on July 1. And while you're on the FWA website, check out all the exciting workshops and programs in this year's annual conference, SOAR! 10 Years of Reaching New Heights. All the details are there from the workshop schedule to the faculty list. This should be a great conference as we celebrate our 10th anniversary. The UNF Writers Conference is also open for registration for the 3-day conference, August 5 - 7. The early bird conference fee of $299 increases to $349 on May 31. Remember the fee includes the day of craft workshops, the critiques workshops, the opportunity to participate in the Pitch Book, and the ePublishing seminar. All good stuff, and FWA is a partner in the conference. Chiczofrenic.com and Five Seas Ink announce a new writing contest with the winner receiving a publishing contract from Five Seas Ink. Visit the website for details. Ancient City Romance Writers meet on the 4th Saturday of the month at the SE Branch Library from 12:30 to 4PM. 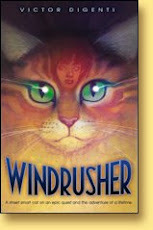 Elizabeth Sinclair presents "The Dos and Don'ts of Writing a Series." Contact Kathy Bain for more details, kathynbain@comcast.net. 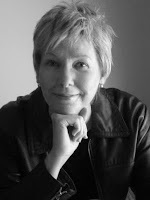 Congratulations to June Weltman for her First Place Award in the National Association of Pen Women's 2011 At-Large contest for two mystery reviews June wrote for The Florida Times-Union. June is a former newspaper reporter and author of The Mystery of the Missing Candlestick. Dorothy Fletcher has been honored by the Jacksonville Historic Preservation Commission for the 2011 Historic Preservation Award for her book, Remembering Jacksonville: By the Wayside, and for her column, By the Wayside. Peppertree Press has published Carolyn Evans' book, Faith, A Disciple's Journey. It's the story of Carolyn's grandfather and his life as a missionary in China. 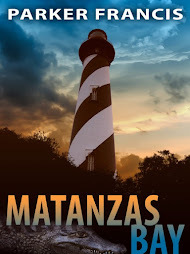 Parker Francis (aka Victor DiGenti) has published his award-winning mystery, Matanzas Bay (Windrusher Hall Press). 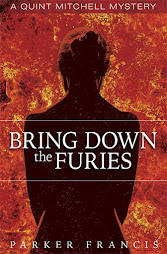 It's available as an ebook for both the Kindle and Nook platforms, as well as a trade paperback.